Looking for a Pack Website? 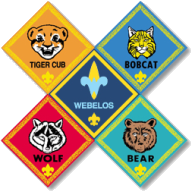 This Google Sites Template is the perfect website for any Cub Scout Pack. You can try it for free and pay only if you launch it live. Sections covering popcorn, pinewood derby, summer camps, uniforms, news (blogs), document handling, leader training, and lots more. Months of work is done for you. Numerous Packs have launched this website in two days. All pages are pre-loaded and formatted with a sleek design and modest layout. Not too fancy. Not too colorful. All in good taste. Easy to keep updated by multiple leaders, not just you. Easy to train leaders to contribute. We even provide the training. We help you change the images on this template to your own custom images. Over 75 base images to start with and turn into your own. Just edit them to your needs. Gimp, Photoshop, and .png formats. Complete and comprehensive Launch Instructions are included in this Template - they take anyone from start to launch. A rookie or a pro should follow the steps in order - it will save you tons of time! Create Google forms and display them nicely in stories or on their own page. Great for event registration and sign-ups. Your Gmail Account will manage the website, calendars, documents, email, forms, spreadsheets, parent contacts, and sharing - all from one log-in. Leader Training Documents included. We help you set the website up, then we help you train your leaders to use the tools. No more islands. We suggest you make this required training. Just like Youth Protection Training and leader Specific training - you should also require "Pack specific training" for all leaders new and old. We explain why (and how) in the instructions. If you intend to maintain this website yourself you don't get it. You should find a different website. The focus of the entire template is toward transitioning the website to new leaders. This website is NOT about one person running everything - it’s about teamwork. This website will increase new parent interest and eventually increase your recruiting numbers. Includes a section dedicated to new families called “Scouting 101”. A friendly way to get the Scouting message to new families. Pay only if/when you get it launched and go live. Pay what your Pack can afford and pay what it is worth. We suggest you base payment on your budget, the value gained, and the time it saved you. In short, this website is not free. But you decide how much to pay. We use a "Donate" button because you decide how much it is worth. We are so sure you will like this website, the content, the instructions, and the training that we don't need to charge up front. It is that good. And you will soon agree. Go to the Launch Countdown page. Start at the "Read Me First" item and work your way through the list. In order. Doing what it says. Don't jump around. Follow the instructions from start to finish. If you do this you will be completely happy with this template. So will your leadership team. And, above all else, you will happily make sure I get paid. Anyone who can follow instructions can make this site their own very easily. The best template I've seen yet. Great instructions... I knew nothing about Google websites before I started this, and now I feel very comfortable that I can make any changes that I want to.